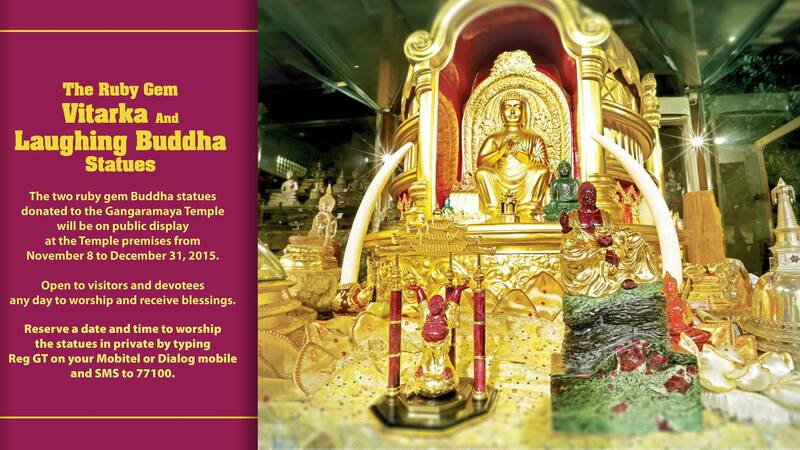 The two ruby gem Buddha statues donated to the Gangaramaya temple will be on public displayat the Temple premises from November 8 to December 31, 2015. Open to visitors and devotees any day to worship and receive blessings. Reserve a date and time to worship the statues in private by typing Reg GT on your Mobitel or Dialog mobile and SMS to 77100.